The Short Version: I was able to successfully use Xbox One Game Streaming using Windows 10 via Boot Camp (OS X El Capitan) on my MacBook Air (11 inch, mid-2013) with 8 GBs of RAM and the Medium quality setting with only minor audio lag and no noticeable video lag. The light switch in my Man Cave is in an awkward position. Instead of being near the door it’s farther into the room on the other side of a fireplace mantel. 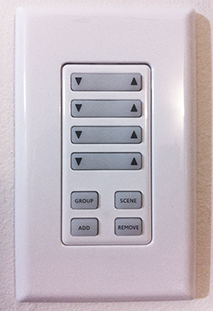 Basically, this means that in order to turn on the light I had to stumble in the dark to to the switch. Using an original game console controller makes a big difference when playing emulated games. The experience can end up being as good as playing an original system. 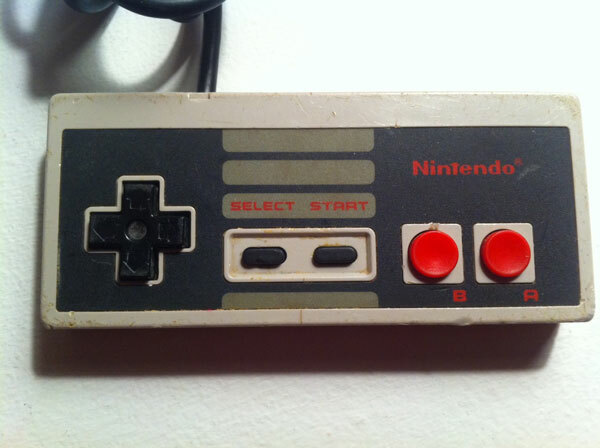 There’s just a certain feel to the buttons that usually can’t be replicated with a newer controller. It’s a combination of several factors (how the buttons feel, the size of the controller, etc). A couple of months ago I bought some original NES controllers at a pawn shop for about $5 each. They sat in a drawer unused until I purchased two RetroBit Retro Adapter NES Controller to USB Port Adapters (under $12 each) from Amazon. The adapters seem to work perfectly. 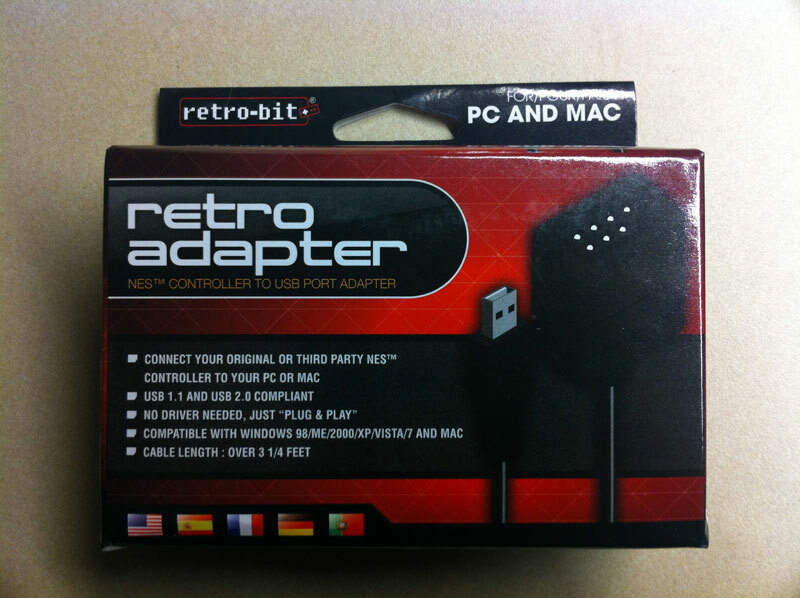 I was able to use one adapter and one controller in OS X Lion with Nestopia without any problems. Some time soon I’ll hook up two controllers at the same time to find out if they can be used at the same time for two-player games. I’ve very satisfied with these adapters. Playing older games with them is a lot more fun that using a modern USB controller. I’m looking forward to receiving a set of SNES controllers I’ve ordered, which I’ll use with an SNES to USB controller adapter that I already own. The Short Version: On a Mac it seems that only the port on the right can be used but Windows users didn’t report the same problem. I had a calibration issue the first time I used the adapter with an original N64 controller but the next time I fired up Sixtyforce I set the axis deadzone to zero and it worked perfectly. For Valentine’s Day my wife bought a couple of items from my Amazon Wish List along with some other cool gifts. One of the items was a May Flash N64 Controller Adapter for USB. While I haven’t had a chance to really put it to a good test I did get some time to hook it up to an N64 controller that I bought yesterday from a pawn shop for $5. 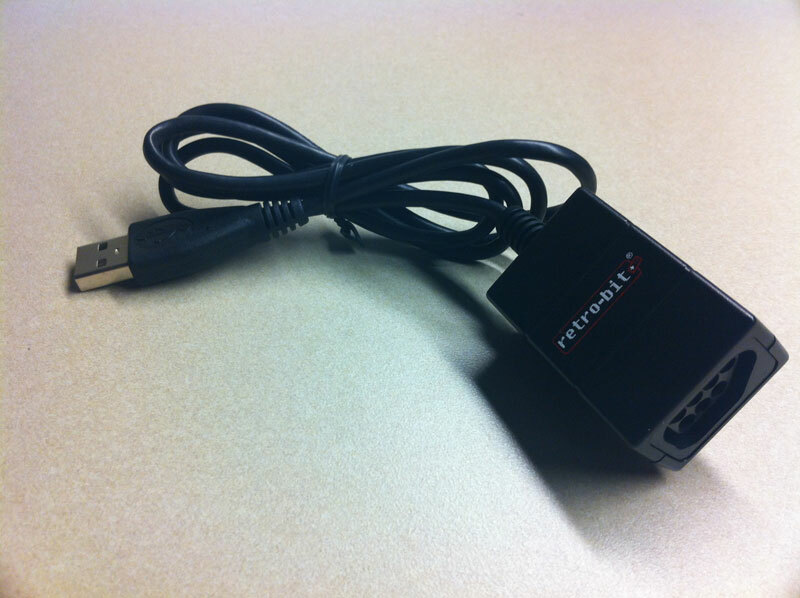 The USB adapter includes two N64 controller ports and it works with Windows and Mac OS X. There aren’t any drivers available. It seems to work via the standard HID interfaces. Note that there is one important caveat for use with a Mac. So far it only appears to work with one controller. Specifically, only the N64 port on the right. I don’t know if this is specific to the OS X drivers or if it’s a software compatibility issue. Amazon review comments hint that it may just be a general problem when using the adapter with OS X. I’ve used it with Sixtyforce and that’s the only N64 emulator I’ve used on a Mac. In Sixtyforce the button mappings worked well. I did have problems with the calibration of the stick on the controller. Its resting position caused the character to constantly move forward. At this point I don’t know if it’s just a sign of an old controller or if there’s something I can do on the OS side to fix the alignment. I’ll keep toying with it, but I don’t think it’s a problem with the adapter itself. Overall, this is a cool little device. I also have their SNES adapter but I haven’t acquired SNES controllers yet. Updated 02/18/2012: I tried the controller again and set the axis deadzone to zero in Sixtyforce. This time it worked perfectly. The Short Version: Download and install a program named PS3Controller. Enable Bluetooth. The pairing code for PS3 controllers is “0000”. I had to connect via USB first to make it work. Read the entire post for additional issues. Note that I’ve only gone through this process using OS X Lion. See an additional update regarding Mountain Lion and Lego Star Wars: The Complete Saga at the end of this post. A while back I managed to get the PS2 version of Shadow of the Colossus working in an emulator for Windows. Using a different driver, not referenced to in this post, I was able to use the PS3 controller (at the time I was only able to get it work via USB). Recently, I decided see if I could get a PS3 controller working in OS X Lion in order to use it with several different console emulators. This turned out to be relatively simple using a piece of software named PS3Contoller. One benefit to using this driver is that it supports Bluetooth, which is the wireless protocol used by the PS3 controllers. I did have some issues getting it to connect when working in the OS X Bluetooth system preference. When I plugged the controller in the red LEDs flashed continuously but it wasn’t detected as a Bluetooth device. However, if I had the controller connected via USB and then hit the PS button while the Mac was looking for devices, it usually found it (the controller stops flashing once it connects). The pairing code for PS3 controllers is the standard “0000”. Note that in my case I had to connect it via USB first. Otherwise, it didn’t seem to detect it. In addition, it seems that each time I wanted to use the controller after shutting down the Mac or putting it into stand-by, I had to reconnect it via the Bluetooth system preference. However, once it was connected it stayed connected throughout that session of use. If you’re planning to set this up within Bluetooth range of the PS3 then I recommend that you flip the power switch on the back to the OFF position. Otherwise, the PS3 will turn on when you hit the PS button on the controller. I was able to have two PS3 controllers connected via Bluetooth at the same time. However, I wasn’t able to get Sixtyforce to detect two PS3 controllers at the same time (though I could connect a GameStop USB controller and a PS3 controller and use both for different players). I suspect that the ability to use two PS3 controllers for different players is determined by the program and not the driver. Updated 09/30/2012: I recently purchased a new 13″ MacBook Pro. It came with a free upgrade to Mountain Lion, which I installed. Since this was a new system it hasn’t had any of the drivers/software installed that I’ve mentioned in this post. It’s possible that Mountain Lion has built-in support for a PS3 controller, but I haven’t tested it with other software. However, I do know that I don’t need to install any software to use a PS3 controller (wired) with Lego Star Wars: The Complete Saga. The game detects the controller and works with it perfectly. For a while I only had one Play-and-Charge kit for my Xbox 360, which worked fine considering I rarely had company over to play games. At one point the rechargeable battery went bad so I purchased two new Niko batteries from Amazon. Recently, both of these seemed to have gone bad and would no longer charge. Having one battery go bad wasn’t unlikely. However, having three go bad in less than a year and knowing that previous batteries worked for a long time with no problems lead me to think that they weren’t actually bad. Sure enough, after much searching, I found a solution written by user Nookie that provided a tip on how to recharge seemingly dead Xbox 360 rechargeable batteries. I tried this method with one battery and discovered that it worked. After one was working again I moved onto another and eventually realized that all three batteries were still good. The gist of the tip is to plug the battery into the Play-and-Charge cable until the charge light goes off (or, early on, until it turns green). As soon as it changes just unplug the cable and then plug it back in. After a few subsequent connects and disconnects eventually you should find that the red light will stay on, indicating that it’s being charged. So far, this seems to have worked. It looks like these batteries can be discharged to a point at which the recharge system doesn’t detect enough residual charge and just assumes the batteries are dead. Updated 05/23/2011: This trick does appear to have worked with the two Niko batteries. However, the original red 360 battery hasn’t held a charge for very long, yet. It may just be dead. Updated 06/09/2012: I’m not certain, but this trick may have also worked qirh a PS3 controller that appeared to have a dead battery. It’s a bigger problem with the PS3 controller because the battery isn’t removable (at least not in the sense that an Xbox 360 controller battery is). With the PS3 controller I plugged it in, pressed the PS3 button, waited until the controller light turned a steady red, and then unplugged it after it started flashing, plugged it back in, and repeated the process several times. I have yet to actually use the controller but so far it appears to have started charging again.